Google Drive and the Docs suite it incorporates have grown a lot more powerful over the last couple of years. Desktop syncing, Gmail integration, mobile and offline editing, handwriting recognition, extra storage and a variety of interface tweaks have all come down the pipe to leave Drive looking like a very mature and capable platform indeed. It still falls short of the raw power of a typical desktop office suite, yet with growing broadband speeds and ever-improving mobile apps it's becoming a part of the workflow for more and more people. Whether you've only dabbled in Docs and Drive in the past, or you're a long-standing veteran, we've collected 20 of our favourite tips to help you improve your productivity. Let's start with the main Google Drive interface. Click on the downward arrow inside the search box at the top of the screen and you can filter the files shown based on their format, their ownership permissions or their visibility on the Web. There are a couple of useful links on the left of the Google Drive interface that can change the view of the files you're looking at: use Recent to see the most recently opened files at the top of the pile, and Activity to see files that have recently been changed by you or someone else with access permissions. Do you want to be able to preview multiple files at once, without opening them up? Of course you do. Place ticks next to all the files you want to see in the main Google Drive interface, then press the preview button (an eye symbol). Use the cursor keys or the arrows at the sides to navigate through your files. 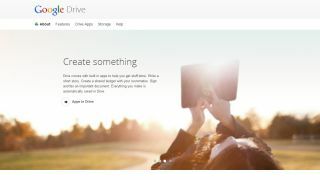 Google Drive's desktop application lets you use the platform as an online backup service for your local files. You can choose specific folders to sync on each machine. Native Google Docs files are shown as web links on your hard drive. Google Drive can use Optical Character Recognition (OCR) to parse text in PDF files and images and convert it into a standard Google Docs document. You can choose this option from the upload settings. The original image or PDF is embedded at the top of the document. The Paint format button is to the left of the toolbar in all of the main Docs applications, and you can use it to copy the format of one block of text to another. If you're creating a heading style, for example, you can quickly apply it to the other headings in your document. In the Docs word processor, open up the stylesheets drop-down menu from the toolbar, then select Normal text > Update 'Normal text' to match. This sets the current text style as normal. Choose Options > Save as my default styles to use this new stylesheet on every new document. If you highlight a block of text and then click the link button on the Docs toolbar, you'll see a list of suggested URLs based on the text you've selected. Matches for the selected word or phrase in your Google Drive file list are also shown, if you want to link between different documents. If you're always switching to and from Google to look up information, you can make use of the Research pane (accessible from the Tools menu in Docs and Slides). Type a search term to see results from the web as well as your Google Drive and Gmail accounts. You can drag and drop images right into your documents, whether from your local hard drive or a website. Leverage the power of Google Translate and get your documents swiftly translated from the option on the Tools menu. 46 different languages were available the last time we checked.